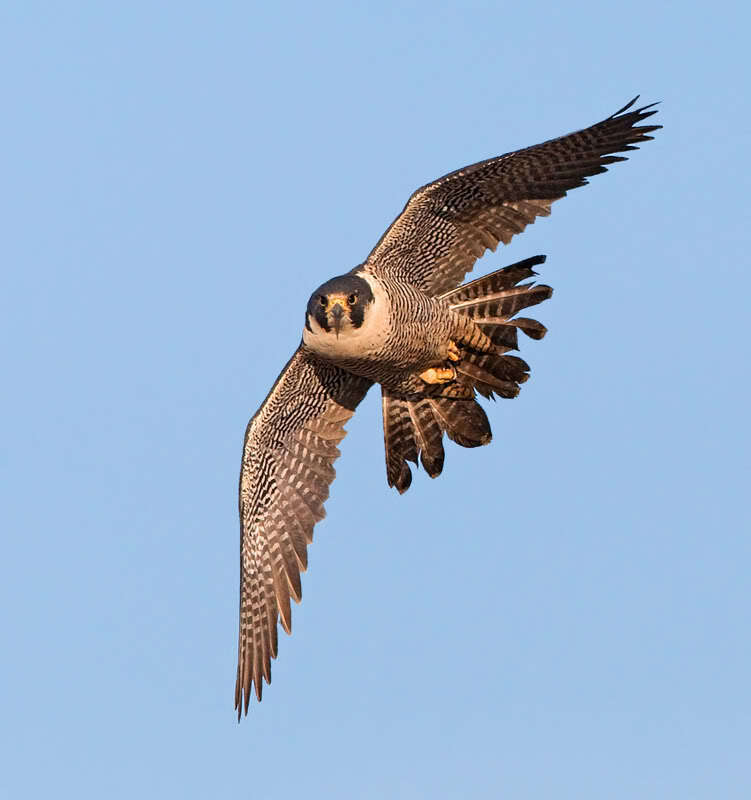 In September, a streamlined Peregrine Falcon calls as it wings its way south from its Arctic nesting grounds. The pale gray falcon will spend the winter in Chile. 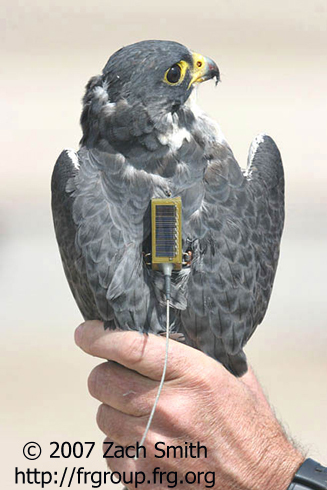 On its back, it wears a miniature satellite transmitter, attached there by members of the Falcon Research Group. In 2006, Bud Anderson and others of the FRG initiated the Southern Cross Peregrine Project. 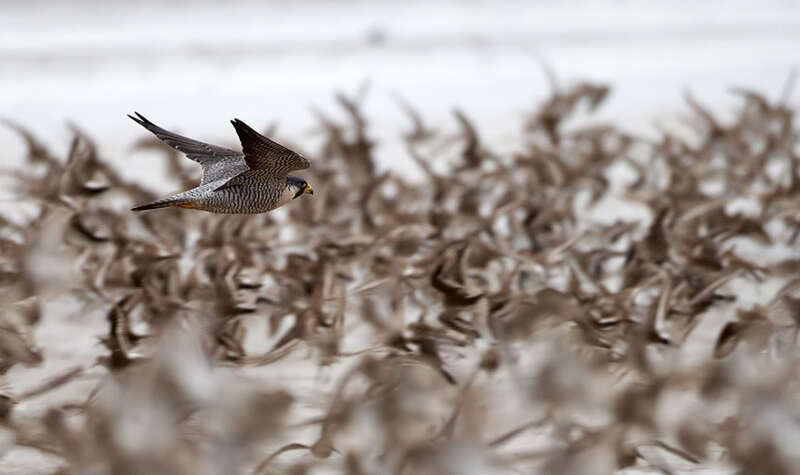 Their goal: track the migration of the tundra race of Peregrine Falcon, the most highly migratory of all Peregrines. 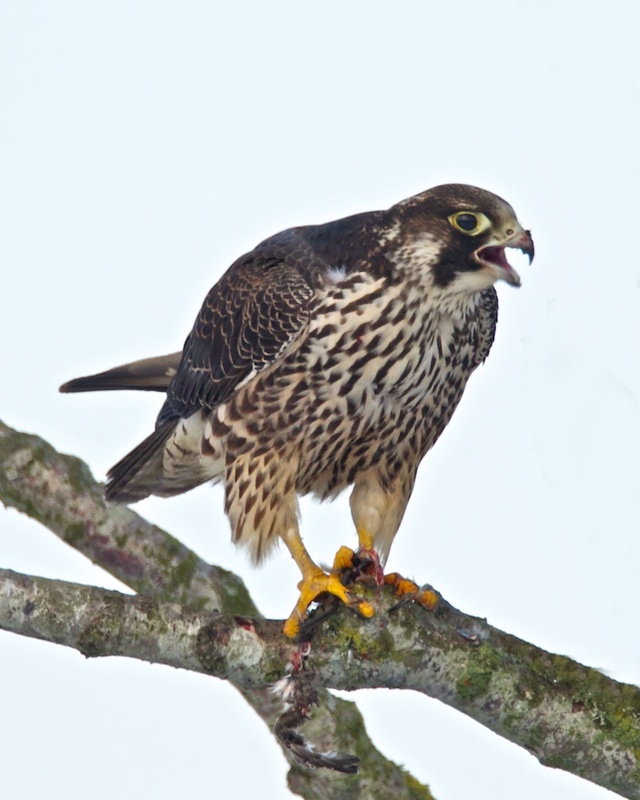 Learn more about the Falcon Research Project. In September, a streamlined Peregrine Falcon calls as it wings its way south from its Arctic nesting grounds. 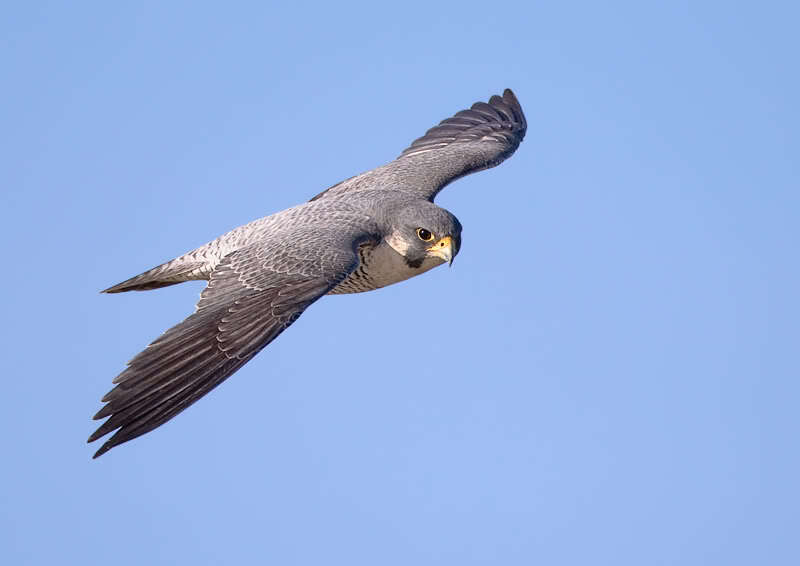 [Peregrine Falcon calls] The pale gray falcon, which will migrate beyond the equator to spend the winter in Chile, also sends a signal to a group of scientists. On its back, it wears a miniature satellite transmitter, attached there by members of the Falcon Research Group. For BirdNote, I’m Frank Corrado. Call of the Peregrine Falcon provided by The Macaulay Library at the Cornell Lab of Ornithology, Ithaca, New York. Recorded by G. Vyn.